On February 17, 1949, he married Gladys Hughes in Mt. Horeb. They were dairy farmers in Barneveld and Ridgeway for many years before moving to Dodgeville. Norman then worked for the Iowa County Highway Department until he retired. Norman enjoyed Polka Fests and dances with his wife and their friends. He also enjoyed gardening. He was proud of growing his prize tomatoes. Norman was an avid hunter and was still successfully hunting at the age of 90. Norman is survived by his his son, Roger (Lisa) of Mt. Horeb; his grandsons, Josh (Nikki) Venden of Albany, Jake (Dawn) Venden of Dodgeville, Beau (Jennefer) Thoreson of Madison, Ryan Discoll (Dubuque); and a great-grandson, Nicholas Venden. He was preceded in death by his wife Gladys; his parents; his brothers Russell, Curtis, and Willard; and an infant son, Robert. A funeral service will be held at 11:00 a.m. on Friday, March 22, 2019, at GRACE LUTHERAN CHURCH in Dodgeville. Rev. Mark Williamson will officiate. Inurnment will be held in East Side Cemetery. Friends may call from 9:30 a.m. until time of services on Friday at the church. 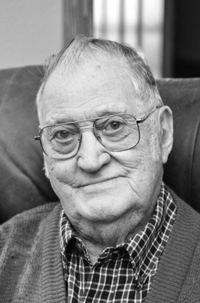 The family wishes to express their sincerest appreciation to Crest Ridge Assisted Living and Agrace Hospice for the exceptional care Norman was given during his stay, as well as the comforting support given to his family. In lieu of flowers, memorials may be made to Crest Ridge Assisted Living or Agrace Hospice.